There are a lot of variations on the meaning of beauty, and we know for sure it is a multi billion pound industry. Can you make yourself more beautiful ? The Company says " Beauty may only be skin deep, but we believe it starts a little deeper than that "
I personally am not sure that you can, but what I do believe is that you can make the best of what you have been blessed with, and just as you would if you owned a Rolls Royce, look after it, service it and maintain it in it's best possible condition. I also believe that as women we have become so used to putting everything and everyone else first, we would pay more attention to the Roller than we would to our bodies. This is where Companies like Advanced Nutrition Programmes come into play. They are part of the International Institute of anti-ageing. We think nothing of applying our wonder creams, lotions and potions, but think little about what's going on in the * engine* OK so we may take the odd multi vit when we remember, or up the dose of vitamin C when winter comes, but on a regular basis how many of us look after our skin on an inner level ? 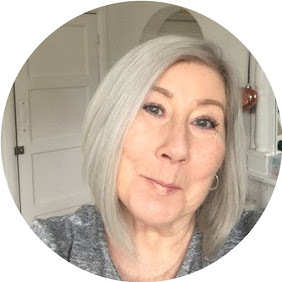 I first discovered Advanced Nutrition at The Beauty Show at London Olympia this year, and they very kindly sent me some products to try out specifically aimed at my * mature * Rolls Royce. Starting with a Duo Pack named Skin Complete containing 2 packs each with 60 pills one a day of each. Skin Vit A + also containing vitamin D. I didn't know this but 95 % of UK women do not get enough of this skin nutrient which is proven to maintain healthy skin. Skin Antioxidant to protect your skin from light which creates free radicals a major cause of ageing, this product is claimed to keep skin looking younger longer. And finally Skin Omegas + take 2 capsules daily, these were of particular interest to me as I totally believe in the benefits of Fish oil which provides Omega 3, they also contain Evening Primrose Oil providing Omega 6 fatty acids. You can read the full list of ingredients on the Advanced Nutrition Programme website under the skin range section. The beauty of these products is that they have no added dairy product, yeast, artificial colourings or flavourings, gluten containing ingredients. There is something about looking after yourself from the inside out, we can all try and avoid pollutants and processed food, Sun exposure etc, but life goes on and these things are pretty hard to avoid, at least taking the correct supplements for your skin gives you the peace of mind that you are doing the best you can to hold back signs of ageing that could easily be avoided by taking care of yourself and your skin. These Products and lots more can be found at advancednutritionprogramme where they offer free UK delivery. This Company will not just sell you products online and leave you to it, they have a fabulous customer service team, who can be contacted by phone or email to answer any questions you may have.